Let Jack Frost draw in the crowd! 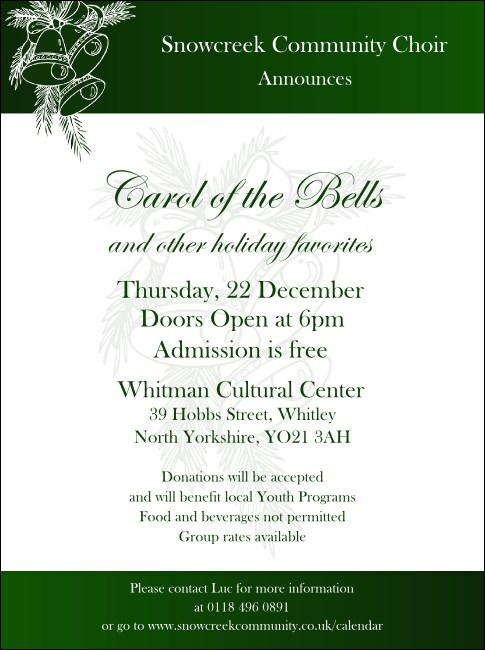 The Christmas Bells Flyer features a delicately etched green and white design, like frost crystals growing across a cold, wintry window. Enter your event details in fourteen lines and we'll print and ship your flyer out fast, so you can begin advertising and selling your seasonal events. Ring in the season with high-quality printed announcements from UK Ticket Printing.